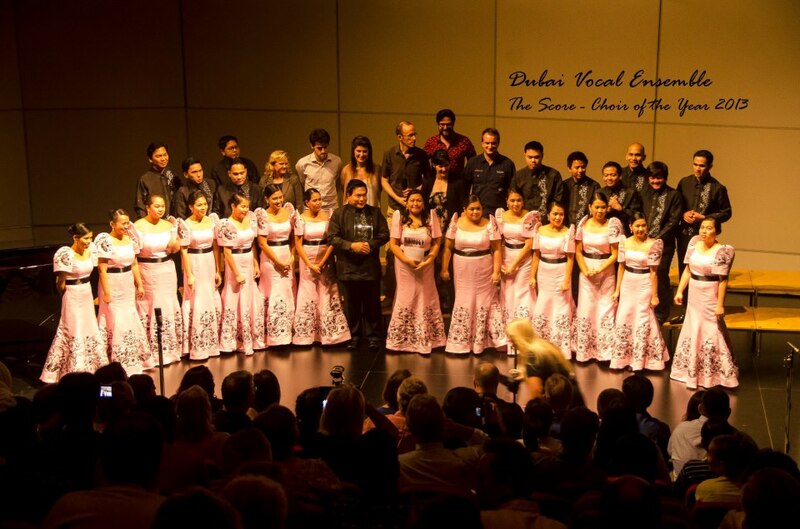 The Dubai Vocal Ensemble (DVE) was proclaimed the winner of the recently concluded 1st Annual Choir of the Year competition last Friday, 15th February 2013, hosted by UAE’s The Score. 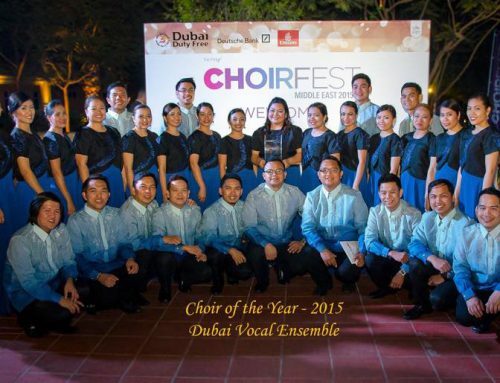 The DVE won over choirs from the whole of UAE which includes Blue Fever from Abu Dhabi, Nassim Al Saba Choir of the American University of Sharjah and other various choral groups from the country. 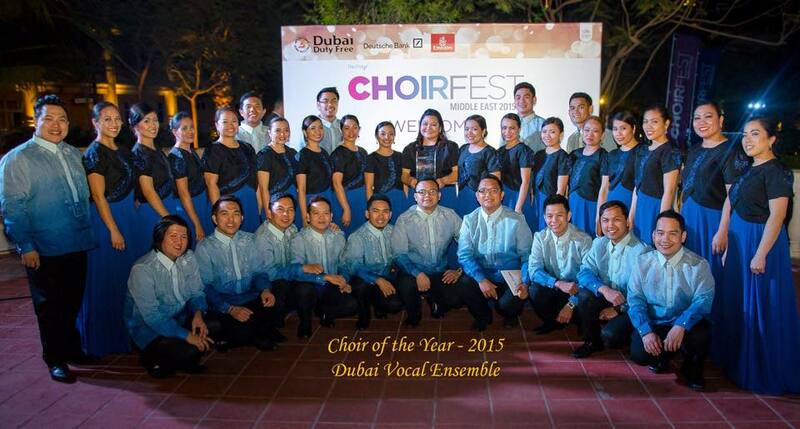 The competition was judged by the Grammy Award Winning a cappella group The Swingle Singers at the Dubai College. 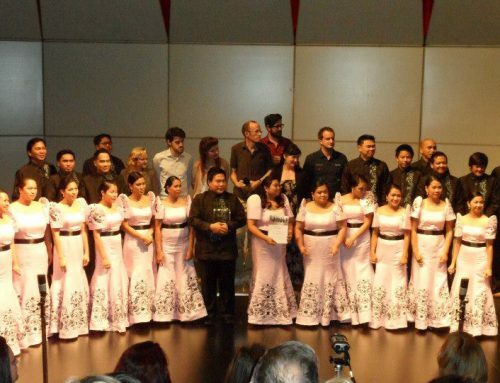 The different groups performed a variety of songs from Arabic to Jazz. 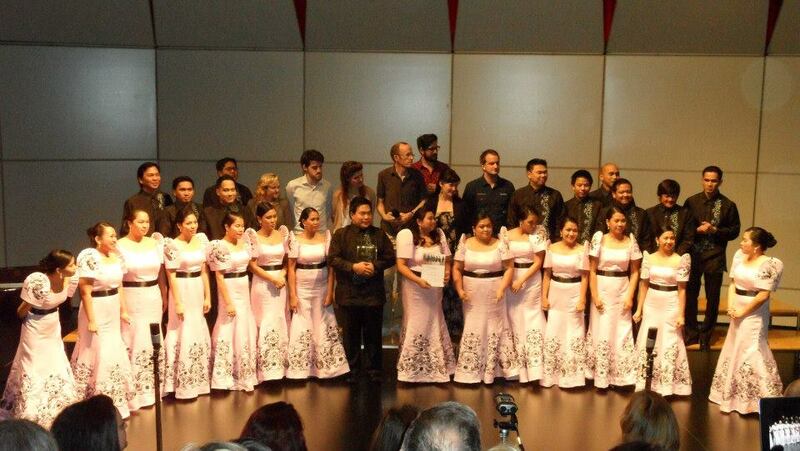 DVE performed Ralph Manuel’s Alleluia, the Visayan folk song Rosas Pandan and the ethnic song Kruhay. The judges were overwhelmed by the performance and described it as electrifying and emotional. Watch the video here. Here’s the summary of the event.